Some people in the Triangle believe it is almost impossible to sell a home once the temperatures drop and the year approaches the New Year. At Flat Fee Realty, the Triangle’s local real estate specialists, we know that home buyers in and around Raleigh will purchase the perfect home any time of year. Homes indeed sell, and right through the winter with the right agent who helps promote and guide the real estate transaction. Higher sale prices in the Triangle: Residential properties from Apex, Cary, Raleigh, Morrisville, Holly Springs and beyond are continuing increasing in value. Sellers can find the buyers willing to pay market value, especially as we head to the holiday season and the beginning of 2017. There is great chance that people will continue to look and submit offers regardless of the season. There always is year around opportunity because of the mild winters and lack of snow. At Flat Fee Realty our team of professionals can find the perfect buyer willing to move into a new home any month in any year. Fewer homes for sale in the Raleigh and Triangle area: Homes hold their value regardless of the month. In fact, there might be a fewer choices as well. 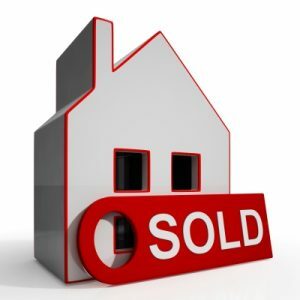 As a very general rule, home selling and buying popularity reaches its peak in spring and into early summer. Although the quantity of homes might be less in winter than spring; there is still Triangle home selling and buying every single month of the year. It is a sellers’ market in both warmer and cooler months and homes sell in this market. Very motivated buyers: If the market is a little smaller as the end of the year approaches, it can mean more buyers too. Many people are very motivated to get in before New Year’s Day. People are always willing to look for homes this time of year, and finding the one that meets their needs is just as important in November as it is in June. And buyers are often more qualified and interested, and willing to accept pricing. This is good news for sellers. Of course, it is best to show a house with great curb appeal by making sure the property is cleared of leaves and the outside is neat and trim. The more natural light in the rooms, the better, and it is important to use timers and modern technology to keep the lighting pleasing after dark. Always make sure that the house is cozy and warm, with fireplace burning, to make it even more inviting. With good staging and timing, anyone can sell a home this time of year! Give us a call and we will put everything together. W are the future of real estate in the Triangle. This post on selling and buying a home in the Triangle is brought to you by the team at Flat Fee Realty and is intended for informational purposes only. The Future of Real Estate! Find and like us on Facebook! Is Autumn the Time to Leave a Rental and Buy a Triangle Home? It is interesting to note that approximately one third of all single family residences are rental homes. In certain areas of the Triangle, we actually have even higher rental rates. Renting or buying is a big decision. When considering whether to purchase a Triangle home or rent one, there are many factors to consider before this important decision is made. Our real estate experts at Flat Fee Realty work with many Triangle renters as they assess what to do. In fact, many people need just the basics from our team to understanding the advantages of owning a home. 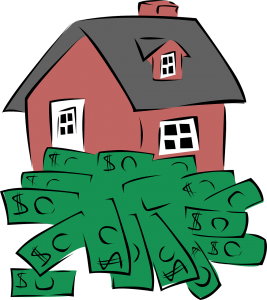 Financial plans: Unless something drastic is changing in the near future, such as plans to leave the Triangle area or other large purchases that need to be made; there is more to gain financially by buying a home than by renting one. Home ownership allows for mortgage reduced taxes and home appreciation. Desire to customize: If making changes in the rental is the desire, it is probably wise to purchase a home. In rental homes, many landlords will not want any changes made. Owning a Triangle home will give the ability to make changes and the upgrades as needed. Stability: Many first time home buyers share that they are looking for stability in their living situation. Owning a home presents a lot more stability than renting one. A new home offers sound financial decisions and a new sense of ownership and security. There are a number of advantages to owning a new home. A few fun rewards are new furniture, energy efficiency, new neighbors, and that fresh coat of paint! If information is needed about buying a home in the Triangle, please contact Terry McDonald and the real estate experts at Flat Fee Realty today. The time is now to buy your new home; give us a call. Serving all of North Carolina, including Raleigh - Durham Triangle area, Charlotte - Lake Norman area, Greensboro / Winston-Salem Triad area, Wilmington and Cape Fear area, Fayetteville and the Sandhills area, Greenville and Eastern NC, and west to Boone, Hickory, Asheville and the rest of Western NC.